Will Lafayette, Colorado Become Another Sacrificial Pawn for the CELDF? Tom Linzey, the court sanctioned radical lawyer who buried Grant Township and others in litigation now has his eyes on Lafayette, Colorado as his next pawn. 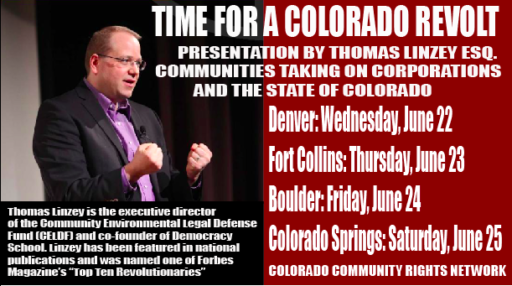 Lafayette, Colorado is apparently entertaining a proposal from the Community Environmental Legal Defense Fund (CELDF) to make it yet another sacrificial pawn in its campaign to upend the U.S. Constitution and start a revolution. The story is nicely told by Rebecca Simons over at Energy In Depth. 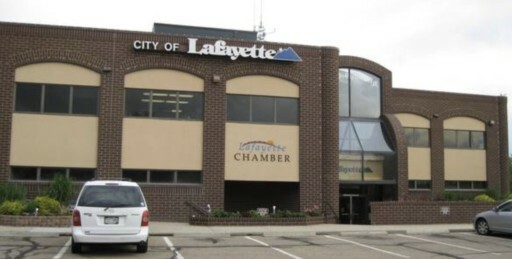 Lafayette legal counsel has advised the community against entangling itself with the CELDF but, of course, there’s a noisy contingent of extremists ready to sign on to the self-destruction. Will Lafayette listen to reason or virtue signaling special interests? In short, one vision makes you somebody special and the other vision does not. These visions are not symmetrical. […] Because the vision of the anointed is a vision of themselves as well as a vision of the world, when they are defending that vision they are not simply defending a set of hypotheses about external events, they are in a sense defending their very souls – and the zeal and even ruthlessness with which they defend their vision are not surprising under these circumstances. This excellent analysis explains why so many fractivists and their enabling trust-funders sign onto to the cause; it makes them special, something they seek as a way to match the credibility of the parents and/or peers they so envy. Think about the fractivists you know and those who finance them and you’ll immediately recognize in them what Sowell is saying and understand why they’re so vulnerable to con artists such as Linzey, who is one of them himself, his parents being very accomplished world-traveler zoologists. So as to distinguish himself and claim the mantle of special, Tom Linzey has embarked upon a career of milking the wealth of others to finance a revolutionary campaign that is inherently Marxist, although he advances anarchy as the way to get there. He says he’s for “community rights” but that’s only true if the community agrees with him. If it doesn’t, he and his revolutionary guards continue the assault as they’ve done in Youngstown, Ohio, for example. Saying “no” is no community right in Linzey’s playbook. “One of our Colorado contract lawyers” the CELDF says. Now, who might Tom Linzey be thinking about here as a lawyer in Lafayette, Colorado? And, if he has someone in mind, why didn’t he just provide the name? Is that too much of Lafayette to ask? Inquiring minds can only imagine who Linzey is thinking about, but there is a logical candidate who Linzey would have every incentive to avoid mentioning ahead of time—Andrew J. O’Connor. On Thursday, New York City Mayor Bill de Blasio announced that the New York City pension fund was divesting itself of $4 billion worth of gas and oil stocks and filed a federal lawsuit against the five biggest publicly-traded oil companies in the world for damages sustained by their city and their residents caused by Hurricane Sandy which were in turn proximately caused by the actions of the oil and gas corporations in causing climate change. This is exactly what the city of Lafayette, Erie, Broomfield, Longmont, Louisville, Boulder, Boulder County and other Front Range communities adversely impacted by fracking must do. Extraction, Noble Energy, Anadarko, etc., must be sued immediately in federal court. I believe that local communities must take this action in order to protect their communities and residents from the existential threat of fracking. Notice the language of community rights O’Connor uses. He’s clearly on board with Linzey’s efforts in Lafayette and fits in perfectly with the CELDF agenda. O’Connor apparently works as a law clerk, rather than an attorney, these days, having had some previous issues with his licensing in Florida and New Mexico. He’s not on the Colorado Supreme Court’s current list of attorneys in the state, but there’s nothing to stop him from applying to be a member of Colorado’s bar, given he meets the educational credentials. He could also do what he’s doing now, simply play lawyer by serving as law clerk to whoever Linzey might hire for Colorado counsel, perhaps the same firm for whom O’Connor now clerks. Is that what Linzey would do? No one can know as of now, but its very curious the CELDF can’t name who would serve as its legal counsel as it seeks to represent Lafayette. Once again, it highlights the very real risk Lafayette would be taking with Linzey. since you added them to your list of those to discredit or demonize….. The Resistance Movement to oil and gas continues to expand and grow. People have to protect themselves when others want to use them as a sacrifice for the profits of oil and gas. Actually, Vera, it’s the courts and voters who are beginning to notice what a dangerously radical and fraud the CELDF is.